We recently spoke to Ian Robertson, a keen fisherman, who offered some tips about fishing in Orkney. We hope these tips help those visitors coming to the isles in search of a Brown Trout! Ian’s favourite fishing loch in Orkney is the Loch of Harray. This has varied ground, deep holes and skerries – there’s always a fish feeding somewhere. The Loch of Harray is clean and clear with a large population of brown trout. When it’s windy and other lochs become turbid, there’s always a quiet corner away from wind in Harray Loch. The Brown Trout Season has just started (15th March 2015) and for the first couple of months it’s best to wade in the Loch of Harray as the shallow water close to the shore is warmer and the fish feed there. Towards the end of May, and through June, July and August, it’s best to use a boat on the Loch of Harray as the Brown Trout move out to deeper cooler water as the weather warms up. 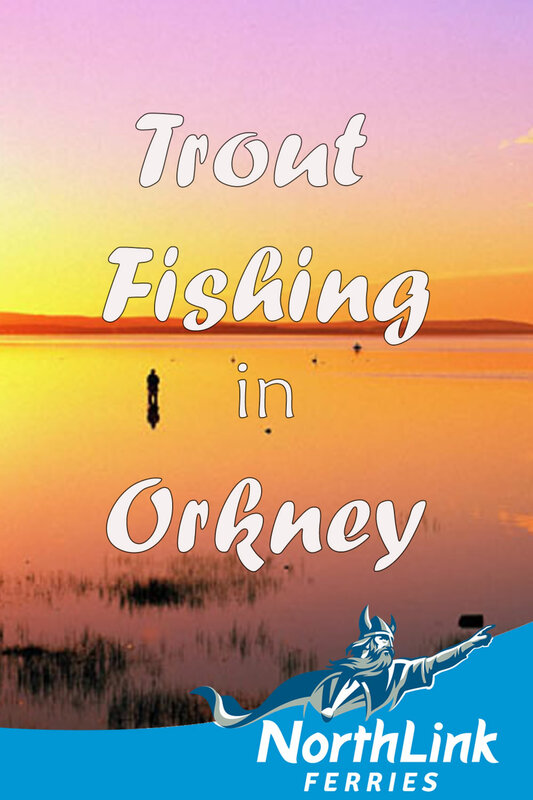 The best way to fish in Orkney is to step and cast – don’t stay in the same place. Brown Trout are very territorial. Cover as much ground as possible until you find a couple of hiding fish! The Loch of Stenness is also one of Ian’s favourite lochs. It is a difficult loch to fish but Ian regards it a good challenge which requires knowledge of timing, tides, and the moon. The Loch of Stenness is a unique habitat and a site of special scientific interest with brakish water and a mixture of brown trout and sea trout. The Loch of Stenness is best fished from the shore as fish can be found in shallow water, sometimes barely enough to cover their backs. Fish hide here because they are safe from seals in the shallows! August and September are the best times to fish the Loch of Stenness, when the sea trout come in to spawn. Other recommended fishing lochs include: the Loch of Boardhouse, the Loch of Hundland and the Loch of Swannay (pictured above). These are peat water lochs with darker water and darker fish, but the fishing and fish are lovely! The Loch of Kirbister (pictured below) is a good place to take beginners and juniors as it is full of small fish which are easy to catch. It is recommended that any fish you catch under ten inches are returned to the loch. Ian has a personal catch and release policy, but keeps a few for the pot. Flies recommended for each loch can be found on the OTFA website. WS Sinclair’s Shop in Stromness and William Shearer’s Shop in Kirkwall both have a very good selection of flies. Boat and equipment hire and ghillie services are available in Orkney – check the OTFA website for details. Ian likes Sea Trout fishing in Orkney too, but it is harder as Sea Trout are in decline. Sea Trout are found in shallow water such as sheltered bays and beaches, usually where a burn meets the sea. It’s best to fish for Sea Trout in early Spring or late Autumn. Good Sea Trout fishing spots include the Bay of Ireland, Waulkmill Bay, Bay of Isbister in Rendall, Bay of Firth, Finstown Brig, Inganess Bay, Deer Sound, Sebay, Scapa, The Bush (pictured below), and on Hoy, Mill Bay, Pegal Bay, Creekland, Moness and Lyrawa. It is recommended that any Sea Trout you catch under twelve inches are returned to the sea – please be sensible and only keep one or two for the pot. One of our favourite archaeological sites in Orkney is the Broch of Gurness near Aikerness Beach in Evie. Situated along the North Coast of the West Mainland, the Broch of Gurness is an especially great place to visit with kids who will have fun exploring the site and playing hide and seek amongst the surrounding ruins. We've compiled a list of ten fascinating facts about the broch.